Safe Drinking Water? Is there Asbestos in There? Could Asbestos Be in Your Drinking Water? Most Americans today associate asbestos with old buildings, warships and brakes. Now, a tiny town in Texas says you can add water to the list. Recently, the town of Arp, Texas discovered that its water supply contained asbestos. After heavy rainfall last year, the city experienced an overflowing sewer system. This prompted an investigation, in which the drinking water tested positive for asbestos, and fines from the Texas Commission on Environmental Quality. According to a Tyler Morning Telegraph report, officials now believe that aging and collapsing water lines are the primary culprit for the asbestos contamination, affecting the entire town of 1,000 residents, including its school districts. After learning of the news, Superintendent Dwight Thomas, who lives outside the affected area, turned on his own tap to provide clean drinking water to students engaged in summer school activities. And on the first day of school, Thomas spent the entire day delivering fresh drinking water to district campuses. “It smells like sewer,” he said, after turning on a faucet in the teacher’s lounge. “We don’t want our kids drinking it and we’re going to deal with it the best way we can. Could this happen in your community? The manufacture, importation, processing and distribution in commerce of asbestos-containing products such as cement pipe, pipeline wrap, cement shingle, and cement flat sheet have not been banned in the U.S.
Back in 1974, however, Congress passed The Safe Drinking Water Act (SDWA), which helps ensure the quality of America’s drinking water. Under the Act, the Environmental Protection Agency (EPA) sets standards for drinking water quality and oversees the states, localities, and water suppliers who implement those standards. SDWA standards address inconsistencies in monitoring the nation's water supply caused by differing state standards. A series of congressional amendments in 1986, '88, and '96 have added additional protection. Among the chemicals and contaminants listed in the SDWA are Arsenic, Mercury, Cyanide, Beryllium, and of course, Asbestos. Under the Act, the EPA is required to determine the level of contaminants in drinking water at which no adverse health effects are likely to occur. The EPA has established a maximum contaminant level (MCL) for asbestos in drinking water of 7 million fibers per liter (MFL) > 10 µm in length. In the U.S., if asbestos is in the drinking water, the EPA says it comes from two main sources: the decay of water mains constructed of asbestos-containing cement and erosions of naturally occurring asbestos deposits into watersheds. Whether you agree with the FWR, the EPA or both, what all of this means is—yes, asbestos could be in your drinking water. Is it safe? Take another look at the facts, then you decide. If you think you may have been exposed to asbestos in the workplace, at home or otherwise, see your doctor right away. He can refer you to a specialist who can help determine if you are at risk of developing an asbestos-related illness such as mesothelioma. 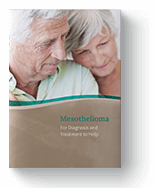 Though there is no cure for mesothelioma, early detection could lead to better treatment options and outcomes. "Asbestos Laws and Regulations: Safe Drinking Water Act (SDWA)." Environmental Protection Agency. United States Environmental Protection Agency (EPA), 01 Sept. 2016. Web. 12 Sept. 2017. "Environmental Health and Medicine Education." Agency for Toxic Substances & Disease Registry (ATSDR). Centers for Disease Control and Prevention, 29 Jan. 2016. Web. 12 Sept. 2017. "40 CFR 141.62 - Maximum Contaminant Levels for Inorganic Contaminants." LII/Legal Information Institute. Cornell Law School, 2016. Web. 12 Sept. 2017. Gordon, Jones. "Asbestos Cement Drinking Water Pipes and Possible Health Risks – Review." Foundation for Water Research. Foundation for Water Research (FWR), May 2002. Web. 12 Sept. 2017. Hilburn-Simmons, Jacque. "Arp Agrees to Spend $1.4 Million on Infrastructure." Tyler Morning Telegraph. Tylerpaper.com/Tyler Morning Telegraph, 11 Apr. 2017. Web. 12 Sept. 2017. Hilburn-Simmons, Jacque. "Arp school officials scramble after asbestos found in town’s water." Tyler Morning Telegraph. Tylerpaper.com/Tyler Morning Telegraph, 17 Aug. 2017. Web. 12 Sept. 2017. "Maximum Contaminant Levels for Inorganic Contaminants." EPA 23 (2011): 141-62. United States Environmental Protection Agency (EPA). U.S. Government Publishing Office (GPO), 01 Sept. 2016. Web. 12 Sept. 2017. "The Safe Drinking Water Act." Indiana University Center on Representative Government. Indiana University Bloomington, 2017. Web. 12 Sept. 2017. "U.S. Federal Bans on Asbestos." Environmental Protection Agency. United States Environmental Protection Agency (EPA), 19 Dec. 2016. Web. 12 Sept. 2017.